This is the first year that I have properly entered into the world of time trialing on the bike and I have learned ALOT. Things started out pretty good and I won the first two races (Maidenhead & Brill Hilly). This was a massive surprise to me as I consider myself big for a cyclist (weighing in at 84 kg) and would not have expected to do well on hilly courses. The next two TT’s I did were on flat courses and I did OK coming 2nd and 3rd in those two races. What surprised me was that the gap between myself and the same riders from the hilly races was much smaller. I would have expected it to be the other way around and put more time into the same people on the flatter courses. Since both my bike and wheels are aerodynamically top notch, this made me question just how aerodynamic my position was on the bike really was? The next TT of the year was the national 50. I went into this not really sure what to expect. Having no real experience in flat out 50 mile racing pace judgement was difficult. I managed to hold 343 Watts average, but in hindsight massively undercooked it. As I headed off for a run after the race my legs still felt fresh. When I got back from the run I was chatting to a couple of guys who finished in the top 10 and rode about 7mins faster than me. What really surprised me was I had put out 20 Watts more power than both of them!! 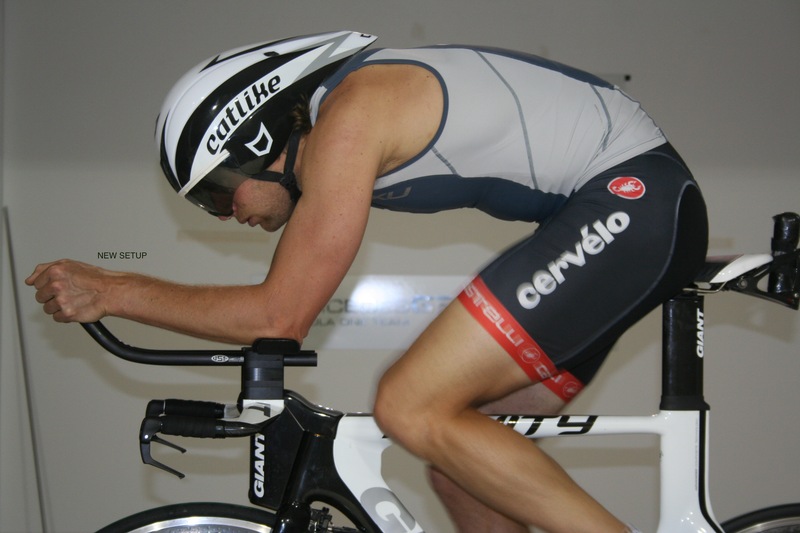 This reiterated to me the fact that my body position on the bike needed addressing. At the time it was coming up to Ironman Switzerland so I was not prepared to start messing around with things so close to a big race. 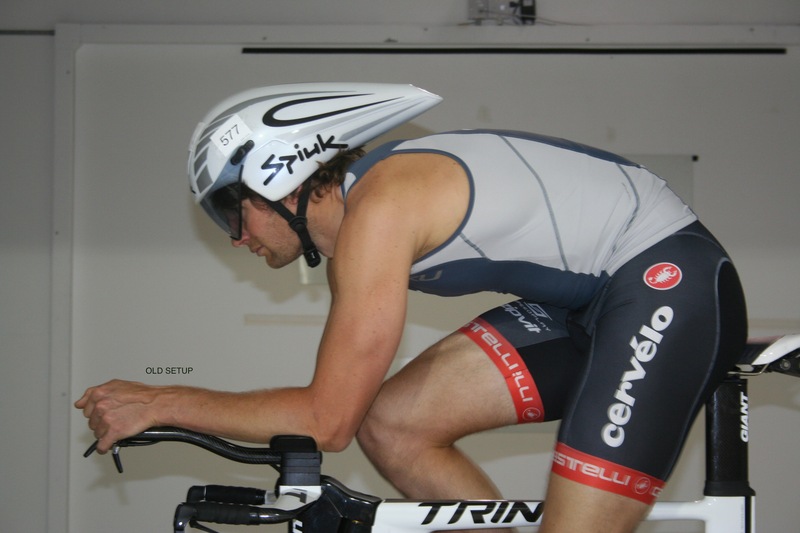 What I did do was book a session in the F1 wind tunnel for the week after Ironman Switzerland with the team at drag2zero. This proved to be a very very interesting day! What I discovered was somewhat depressing and that is I generate a huge amount of drag relative to most cyclists 😦 Basically my bloody shoulders are like a massive set of parachutes!! The guys at drag2zero were awesome and we spent ages playing around with things trying to find something that helped to bring those bloody drag numbers down. After three hours in the tunnel we were out of time. We had made a slight improvements in my position, saving about 10 watts but that was it. Having said that, I came away from the session having learnt a huge amount about the aerodynamics of my body in different positions and had a pretty good idea in my mind of what I needed to do to reduce those drag numbers. Moving forward I have played around with these concepts and had some pretty positive results. There is a mid week series of time trials held at Western on the Green. It is not the fastest course in the world and I don’t think anyone has ever gone under 21mins for a 10mile TT on this course. However, it is around 4km per lap and makes it very easy to compare results assuming the wind conditions are similar. Here are three results I have under similar wind conditions on this course comparing time vs power. Looking at the stats, after playing around with my setup, I am going very slightly faster and putting in 24 watts less effort!!!! I am racing Challenge Copenhagen in just under 1 weeks time. The bike section is virtually pancake flat, so a perfect course to put these adjustments in my bike setup to the test. 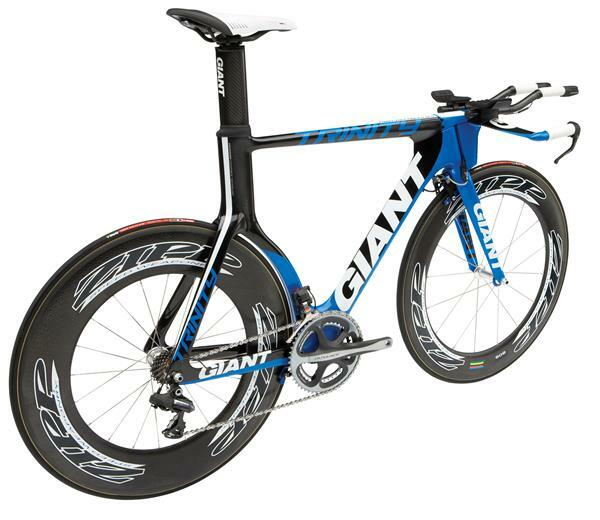 I know that on a flat course I can comfortably hold 300 Watts average for 4-5hrs and come off the bike with fresh legs. In the Cotswold middle distance triathlon a few weeks before Ironman Switzerland I held 310 Watts average and clocked 4hrs 22mins for 112miles, coming off the bike feeling in great nick and running well. Assuming I can replicate that in Copenhagen, hold 300-310 Watts for the 112 miles and stay in my new position on the bike, I could be going at a pace that previously would have required 324-334 Watts!! This all sounds amazing in THEORY. However, the poor result in Switzerland still weighs heavily in my mind. How can I go from clocking a comfortable 4hrs 22mins for 112 miles one weekend to 5hrs 05mins and feeling spent two weeks later? I have thought about this quite a bit! The 4hr 22min ride was almost completely flat and pretty sheltered from the wind. I was able to maintain a steady pace and don’t think I pushed over 340 Watts at any point in the ride. In comparison the 112 miles in Switzerland were hilly. The course climbed a total of about 1800m according to my garmin and I spent large segments of time (20-30 mins) at 370-380 Watts. Added to that I was loosing lot of time with my granny like descending!! After the first lap I was on for a 4hrs 50mins split which would have placed me at the front of the field. Then my stomach issues kicked in. I think this was mainly caused by my efforts at 370-380 Watts while trying to take on enough calories. I have learnt that combination just does not work!! So that is why I think things did not go my way in Switzerland. If I am right, which Carli (my girl friend) will tell you is NOT that often, racing a flat course like the one in Challenge Copenhagen should allow me to hit a 4hr 40min bike split and still hit the run feeling fresh. I still maintain that if I ‘get it right’ out there I should be able to run a 3hr 10mins marathon. HOWEVER, I have been wrong so many times about what I think I can do and what my body is actually capable of!! So while this should be possible in theory, I am not expecting things to work out. With Kona just around the corner I am going to head out to Copenhagen with Carli. Have an awesome weekend in Denmark, ENJOY the race and learn as much as possible from it about where my limits are!! It is almost a week after the race in Zurich and the dust is now starting to settle. I have very mixed feelings about the race and to be honest am a little disappointed with how things went on the day. But maybe I am being a little harsh on myself?? The race started pretty well. I managed to position myself well for the start and after swimming hard for a few minutes I settled into what felt like a VERY easy pace. After the first lap I put in a 2-3 minute effort and quickly caught the group 50 meters in front of me. At this point I made the call not to push on but to sit on the feet of this group. I was swimming well within myself and came out of the water fresh in a slow time of 58 mins around 40th overall and 7th in my age group. Looking at the times for the swim, I think all the swimmers were about 5mins slower than expected. 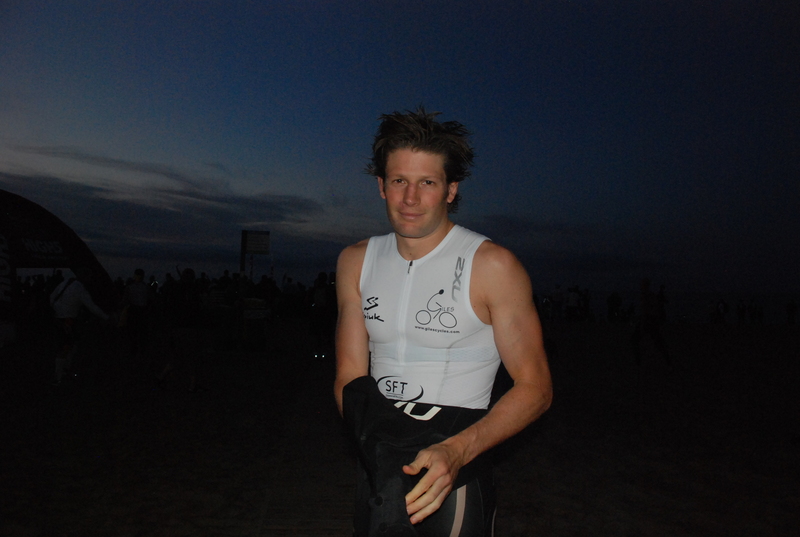 Looking back on it, this was the first ironman swim where I felt like I was not trying. The question I have in the back of my mind is should I have put in some more effort and come out closer to the front? Difficult to answer that one. Out on the bike I felt solid and cruised along in the low 300 watt range for the first 30km around the lake. This section was pancake flat and I spent very little time below 25mph. I had passed a lot of people and think I was leading the age group race. The course turned away from the lake and as I started the first climb of the day a pack of about 6 riders joined me at the front of the race. I stayed with them for the climb but due to my nervous descending lost the group as we headed back down towards the lake. No too worried about this I started the second climb of the day up ‘the beast’ holding around 350-360 watts. At this stage of the race things were looking good. Again I descended back to the lake slowly and was happy to be on the flat cruising at the low 300 watt range again. I finished lap one and was averaging 300 watts but had only managed a 2hr 27min lap time. The second lap started well but as I hit the first climb I started to get stomach issues which caused me to have to back the pace off. It also meant I could not really take on the nutrition I needed. Combine that with the heat of the day and that equals an unhappy Chris. I made it around the reminder of the second lap, but not in a great state. I was a good 12 minutes slower on the second lap. Nonetheless I came into T2 21st overall and 3rd in my age group. I had averaged 283 watts, which was about 35 watts more than the Ironman in Cozumel so all things considered not to shabby. It just goes to show that hilly courses are not really playing to my strengths!! Put me on a flat course with that power and things would be very different out there. Anyway, on the run things did not really start well. I was quickly passed by about 10 people and running way below par. This made it very hard to stay positive, but I just I tried to ignore all of this. I have blown up too many times out on the run of an Ironman. I managed to maintain a constant pace, albeit a very slow 5mins/km, but was low on calories due to the stomach problems out on the bike and the heat was starting to get to me. After the first 8 km I picked up some ice packs from Carli and placed them on my forearms under my arm coolers. The effect was amazing and my pace jumped from 5mins/km to 4mins 30secs/km (what should be my race pace) almost instantly. The ice packs melted pretty quickly and as my core temperature rose again so my pace dropped back to 5mins/km. I struggled on through the next lap still maintaining the same slow pace unable to keep my temperature down. I was not in a great place. At this point things were really starting to get to me and I was getting more and more pissed off with ever step. THEN THE RAIN CAME. I could feel my temperature dropping and as it did back came my energy. I had about 12km left on the run and I just felt angry with how things had gone over the day. It was at this point, that I decided I would just run hard and see how long I could hold on for. Not expecting to last very long. This is where I surprised my self. I was running at around 4mins 20sec/km pace with a kind of aggression unlike anything I have experienced in a Ironman. And as the rain came down harder, so my pace picked up further. I was loving the rain!! In the last few km my pace dropped below 4mins/km pace and I was starting to pass people like they were standing still. My aggression had slowly lifted over the last 40mins and I had the Rocky sound tracking rolling through my brain. For the first time in ages I was in a good place. My final run time was 3hrs 25mins. Again not what I had been hoping but that being said it was awesome to finish the race so strongly. I crossed the line in a 9hrs 33mins. I was 36th overall and 7th in my age group. It had been a tough day and I had mixed feelings about the overall result. I felt disappointed with my biking on the day. I was a good 12 minutes slower on the second lap and those stomach problems really made taking on the calories hard to do. It also meant that going into the run I was is a much worse state than normal and it is very hard to recover from a situation like that. What I was really please with was the way I had managed to hold it together out on the run and especially with the form I managed to regain for the last 10km. Going into the race my form had suggested good things. But as is the way in Ironman racing so many things have to come together for that to translate into a good result. I felt that I was about 20 minutes off where I would have liked to have been. Having said all that, if you look at the stats, my power output was 35 watts higher than it was in Ironman Cozumel and my run time was still a good 7 minutes faster. So I guess it was a better performance, it was just the caliber of athletes were better in Zurich than Mexico. Something you would probably expect. This has been one hell of a weekend and I am finally back in the game. It all started off with one of my very best friends wedding, which truely was a legendary day. The next morning I had planned to race in the Bedord Autoglass Olympic distance triathlon since we were kind of near by (45 minutes away). I must have left the wedding reception around 11pm and spent the next hour and a half getting lost in Luton trying to find my way back to the hotel. Not ideal! Back at the hotel I finally made the last few race prepartions, set the alarm (or so I thought) and passed out. When I woke up a was feeling surprisingly well rested, and with good reason, my alarm never went off at 4.15am and it was now 6.15am!!!! For a few minutes I just thought there was no point even trying to make the race start, but a somewhat drunk Carli (my lovely girfriend) told me to stop fussing and get going, so I did. I must have broken a lot of speed retrictions but made it to the race venue, sprinted about 1-2km to the registration tent, then 1-2km back to the car. Got all my kit and made it into transition 5 minutes before it closed. Talk about cutting it fine!! I was seriously amazed to be in the race. Swim was solid but nothing to write home about. Bike was very solid, although I did corner like a granny! I had the 4th fastest bike split of the day (45 seconds off the fastest split) and if my corning skills were less granny like I think I probably would have had the fastest time, give or take a few seconds. Happy with that. On the run I was really just cruising. With the trans rockies run just around the corner I did not want to push too hard. I still clocked a 35min 30 sec 10km which was not too pedestrian. I came in 10th overall and 3rd in my age group. Considering it was the national championships, not a bad first race back after the crash. Bring on the IM distance races!!! !